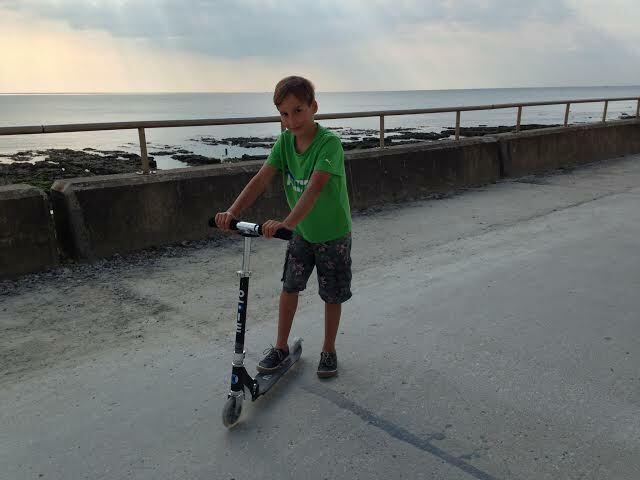 Older Single Mum: Which Scooter for a 9 Year Old - Micro Scooter Sprite vs Trixx Review. 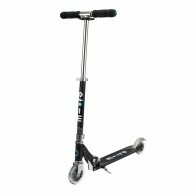 Which Scooter for a 9 Year Old - Micro Scooter Sprite vs Trixx Review. Nor is it very likely you see many watching scooter tutorials. 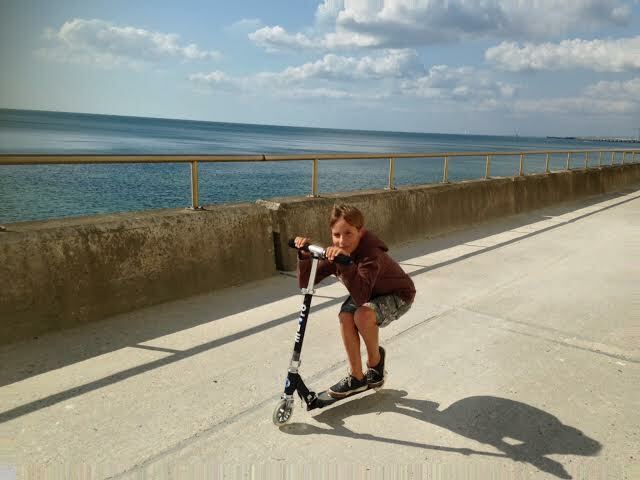 But that was me a couple of months ago - lost in the language, heart in my mouth, trying to tempt the eldest into trying out a stunt or two on his new Micro Trixx Scooter. We'd been sent two to compare - an every day Micro Sprite one and this one, because so many of us want to buy them as Birthday (or, dare I say it, even Christmas) presents and don't know which to choose from the multitude on offer. Although he already had one, it wasn't particularly brilliant. It's a different make and after only a couple of years has not worn very well. 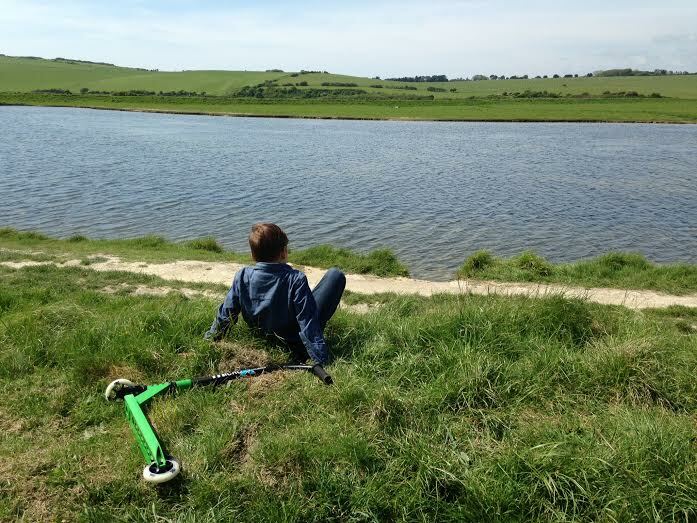 He was due an upgrade and with both the boys having had the very popular Mini Micro Scooters ones when they were littler, I had a feeling that theirs designed for older children would be better quality than the one already in our possession, so we were happy to explore. Our job was to see which we would choose for a nine year old. They're actually quite different to each other and the result might surprise you. After battling to assemble both of them - a couple of emails, a phone call and a strong bloke for the Trixx later - we were ready to roll. I've included the instructions at the end of the post because they don't come with any and googling brought up plenty of other people who'd asked the same questions! As has become expected of them though and as their reputation attests to, the service at the company was immediate and excellent and the quality of both the scooters is as we'd hoped for - superior to any others we're aware of. First of all, my son was quite taken with the Trixx (119.95). It looks cool, it's weighty with a wide deck and thicker wheels that make for a smooth ride and 'better balance' and the handlebars are fixed at a setting he likes. It wasn't brilliant at long distances though. It's really meant for a skate park and not every day use. He was in love with it nevertheless. I was too worried to take it anywhere in case it was nicked, plus it's quite big and heavy to lug about if it doesn't like the terrain you happen to be out on. The Sprite started out as the poor relation at from £79.95, but as time passed and he picked it up more often than the other one, his heart changed. He even tried out a few stunts on it whilst I kept asking him which one he'd pick if we were buying just one and he felt OK doing so, but, naturally, it didn't feel as safe after having used one designed for them. If he'd never known any different, it might not have been an issue. It has its own stand, is faster and not as fussy about road conditions, is lighter and more portable because it folds, whereas the Trixx doesn't. 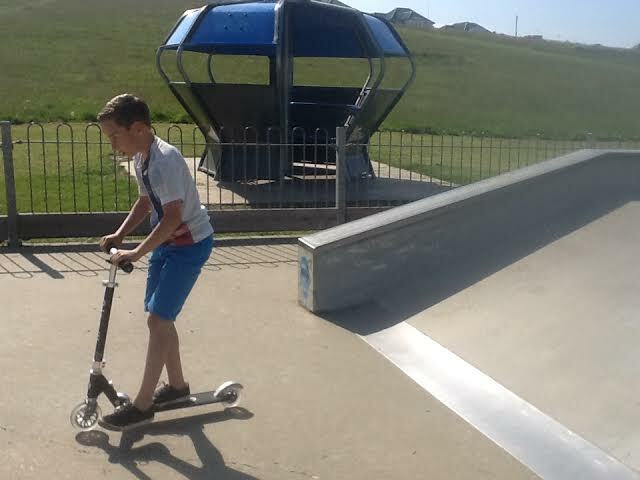 Also, we found that we had to make special journeys to skateboarding and scooter parks to use the Trixx and he didn't seem that bothered about making the time to do that. Ultimately, it transpired, that he was a little intimidated by the other, older boys at them and would rather not go. It might be his nature or because he is only nine. For all our normal every day out and about activities, this one was more fun. Micro Scooter's stunt riders are called Toren Jarritt and Louie Fulton. If you pop into Google their names and 'scooter tutorials' you’ll find loads of stuff. Plus BenJ Friant is the best scooter rider in the world (and rides for them too). He has tonnes on his YouTube channel. 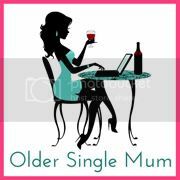 You'll be the most amazing, coolest mum in the universe if you can show them that stuff, regardless of whether you're middle aged! 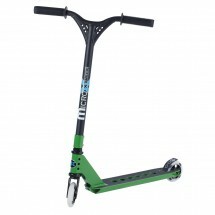 The second option, the Micro Sprite Scooter is the one he eventually selected. It's also the least expensive one. #Win! Disclosure - We were sent the scooters in exchange for an honest review. All words and opinions are our own, obvs. How to assemble a Micro Trixx Scooter. 3) Tighten the screws with the Allen key provided in the order of bottom, middle, top, then again in that order and then again as necessary. 4) And then you ask a stronger person to do the same because you can't get it secure! Stop press: You can now watch a tutorial they've made - HERE. How to unlock a Micro Sprite Scooter. Put the scooter on the table in front of you, with the front wheels to the left. Slide your hand between the handle and the deck right up to the wheel. You will locate a silver push button, press that in with your thumb whilst holding the scooter. As you press in you should hear a click which should release the handle to come up. You're so right about scooter parks for younger kids, it's all well and good getting all the kit, but if they don't feel comfortable going there it's a bit pointless. Much better to have one he'd actually use regularly. This is a really useful review Anya. My eldest is just at that age where scooters are beginning to interest him. It's great to know there's somewhere I can go when I'm spoilt for choice! 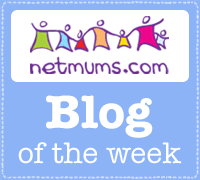 Brilliant comparison Anya - my two are scooter obsessed at the moment! 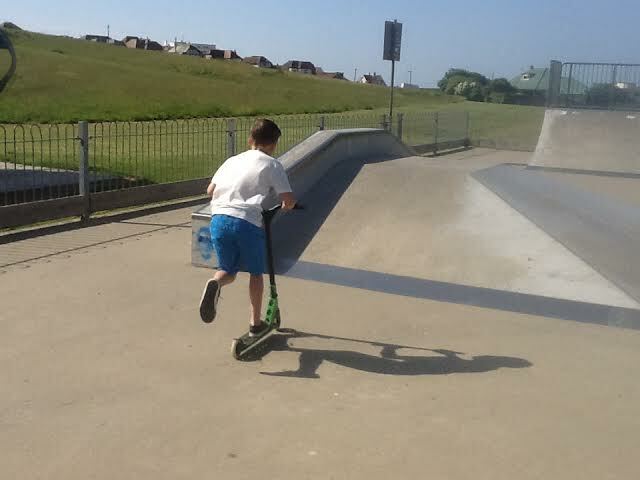 We love our Micro Trixx but yes it is designed for the skatepark (which is in the next road) as opposed to the school run - so he ends up taking his bike. Great review. ronnie hs the sprite and loves it. really made him feel quite grown up going from the three wheels to two. fab scooters. Oh boy I have all this to come! Oz and Kit haven't graduated to 2 wheeled micro-scooters yet! 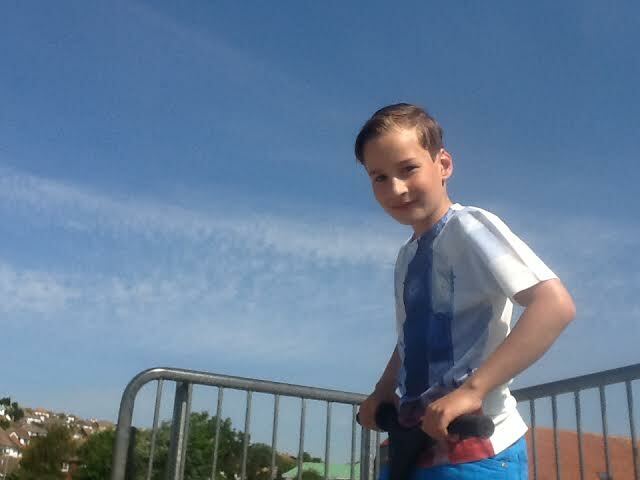 My 10 yr old and his friends really enjoyed the skate parks over the summer holidays but don't go after school as they don't like it as much. Scooters are so fab for all kids. Tell your fab son that G says it looks fab and I think his skills are looking really good! I will, thank you Penny!